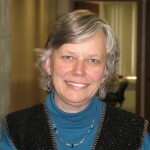 Ella Inglebret, Ph.D., is an Associate Professor in the Department of Speech & Hearing Sciences at Washington State University. Her research focuses on factors associated with Native student success in education and cultural issues in speech-language pathology practice. She can be contacted at einglebret@wsu.edu.